The newest Costa Rican Tarpon Lodge is in Manzanillo, on the South East Coast of Costa Rica. 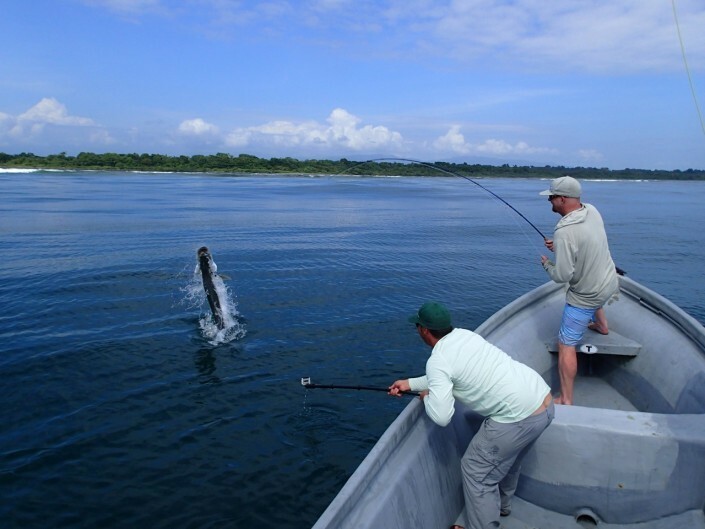 This area and the fishing program is ideal for anglers wanting to pursue large Costa Rican tarpon fishing on fly rod. 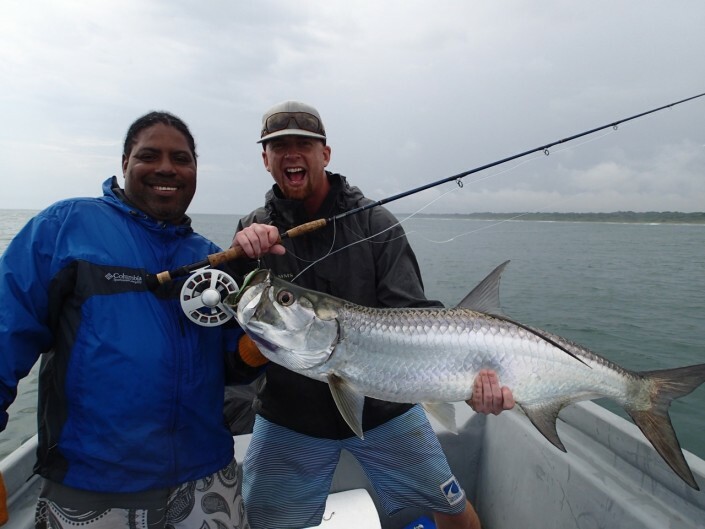 The fishing in this region could set a new standard for tarpon and snook fishing, with new information about unfished lagoons and uninhabited coastline emerging every day. They have spent the past three years exploring these new tarpon and snook waters, with more still waiting to be explored. 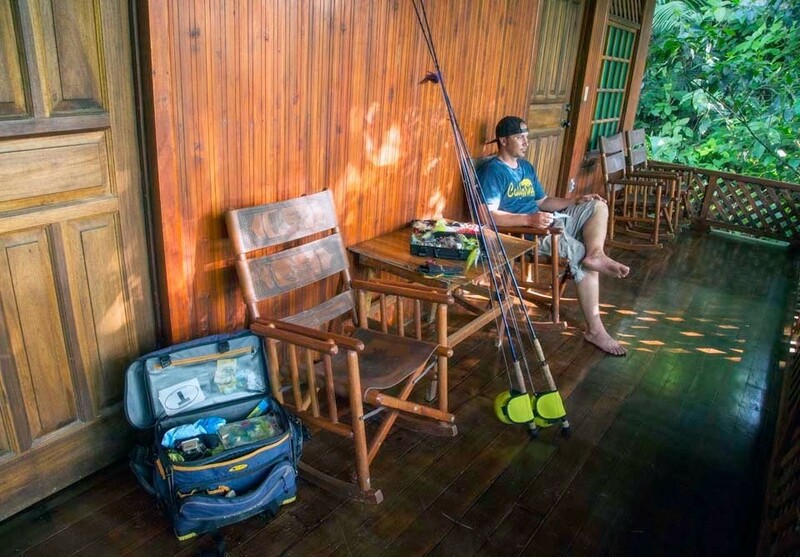 If you are looking for a real fishing adventure, English speaking guides, fish that have rarely seen a fly or lure, try the newest and most exciting locale in the Americas. For years fishermen have heard rumors of large tarpon in great numbers on the Caribbean coast of Costa Rica, near the border with Panama. Well, the “mother lode” has been found! After numerous trips, sportfishing specialists have now developed a fishing operation in this previously unknown sportfishing area. 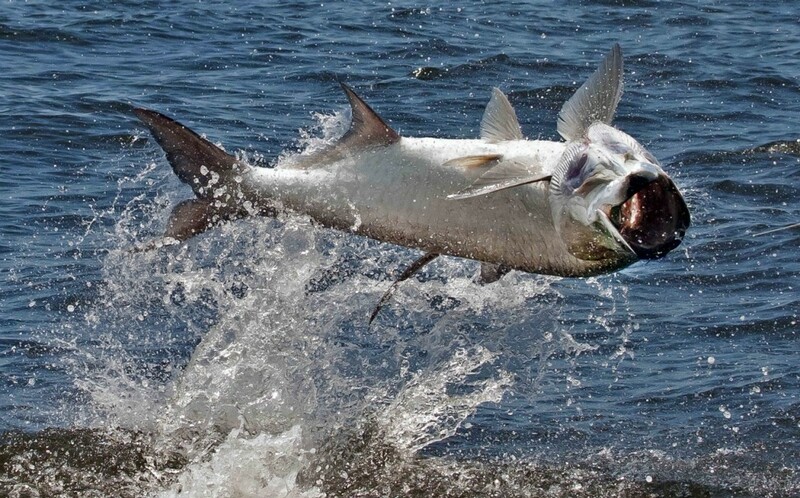 Tarpon weighing over 130 lb. have been landed on both lure and fly. Twenty hook-ups in a morning has been accomplished, and tarpon over 200 lb. have been landed on a fly! 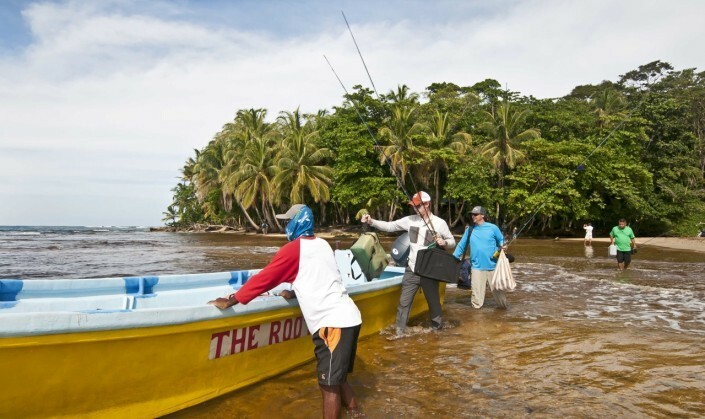 Furthermore, the fishing waters are situated in a wildlife and marine reserve, which insures management and protection of the fish and habitat. Normally you will return by noon for a prepared lunch, return to fish at about 2:00 PM until dark. This schedule allows you to be on the water during the prime fishing hours. 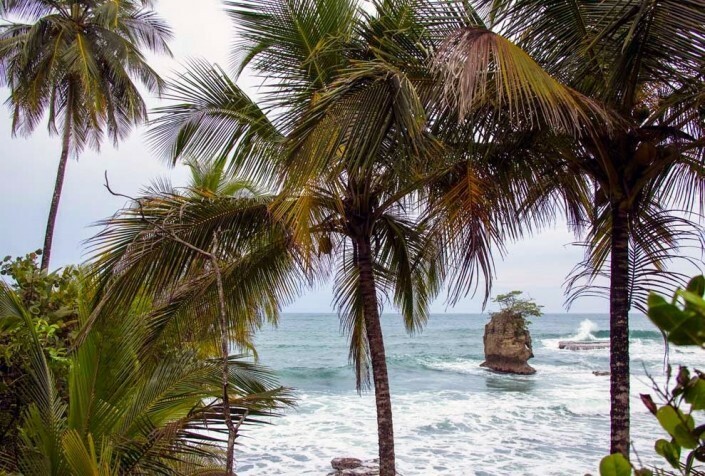 Fishing aside, this is a gorgeous Caribbean destination loaded with activities options and numerous things to see and do. There is some walking involved getting from the lodge to the boats, so guests should be in reasonably good physical condition. 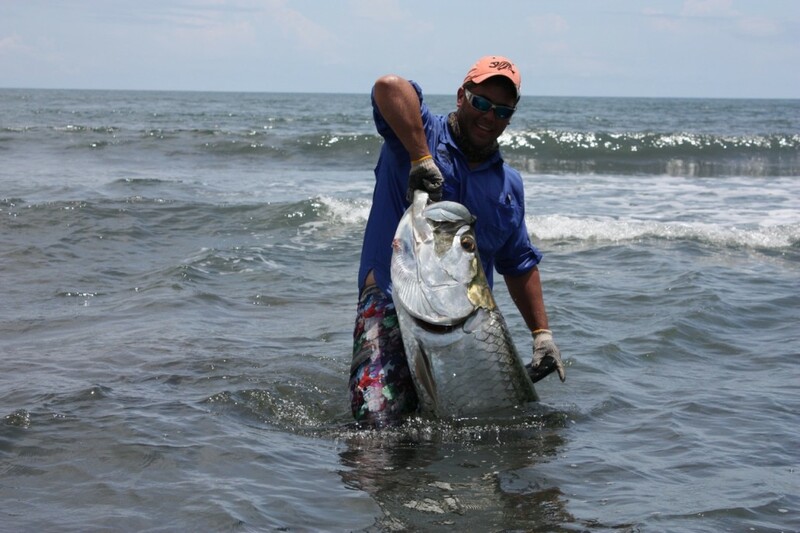 Tarponville fishing packages include accommodations in a clean and comfortable beachfront lodge located just outside the village of Manzanillo. 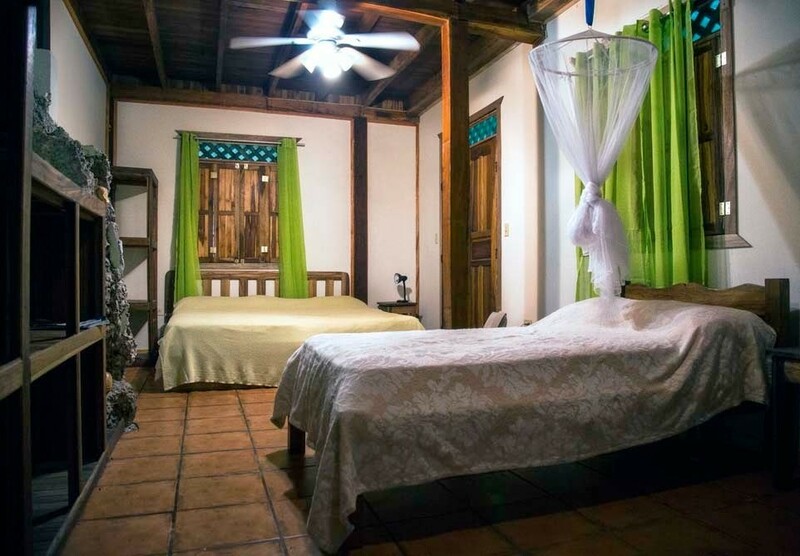 Each room at the lodge has two beds, ceiling fans, a private bathroom, and a beachfront view of one of the most beautiful coral reefs in the Caribbean. 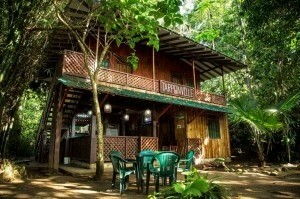 Guests will also have access to the internet and the lodge telephone, where they can make or receive calls. The rooms are located only a few yards from the waters edge on a beautiful beach perfect for swimming, snorkeling, or just plain relaxing. The combination of the ceiling fans and consistent ocean breezes make sleeping quite comfortable. 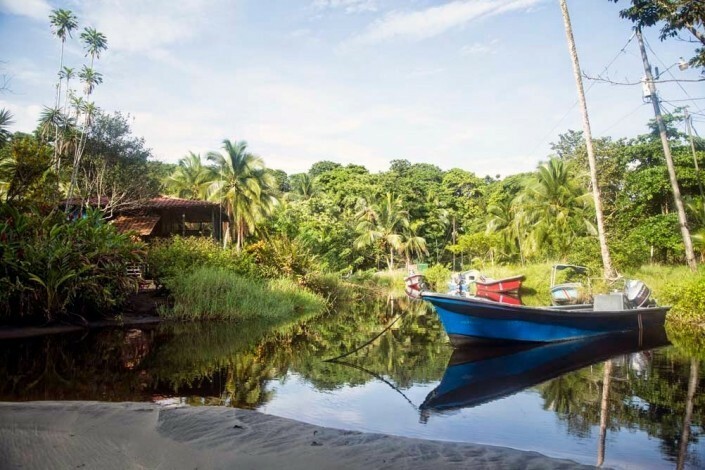 The lodge is located in the middle of the Manzanillo/Gandoca Wildlife Refuge, one of the most beautiful places in the entire area. 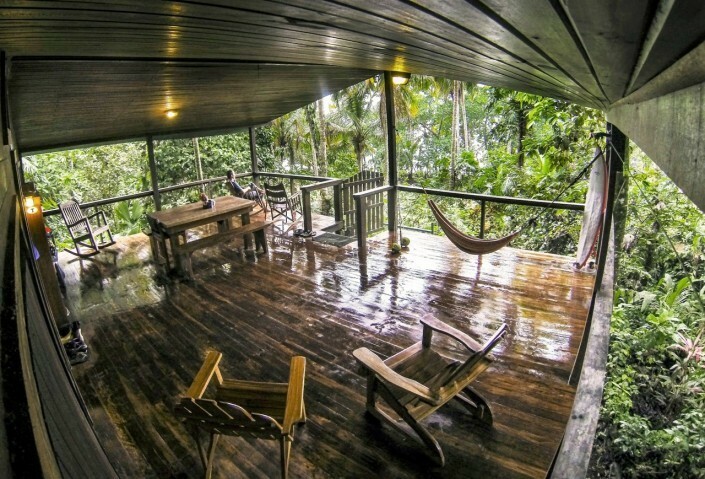 Howler monkeys, sloths, an amazing number of bird species, and other wildlife can all be viewed from your front porch in the mornings and evenings. All meals at the lodge will be prepared by local cooks, and the menu will include such items as snapper, lobster (seasonal), local fruits and vegetables, and other local delicacies. The Lodge bar and kitchen area stocked with complimentary beer, rum, sodas, and mixers for any alcohol that you would like to purchase at the duty free store in San Jose and bring with you to the lodge.